in the West Riding of Yorkshire. 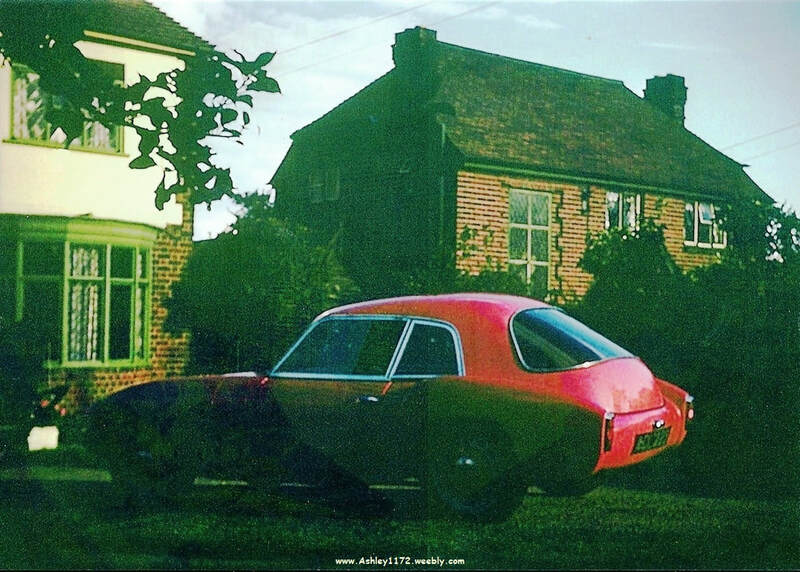 this was somewhere in the Coventry countryside. picture after much work and DVLA paperwork. and reappears as a new registration YSJ 223 via the DVLA regulations. 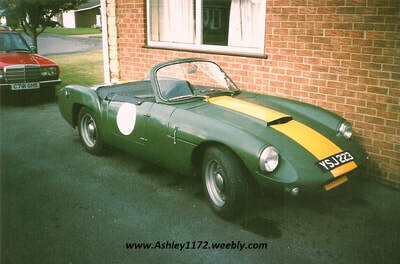 I built this car and owned it from 1991 to 2000/1. 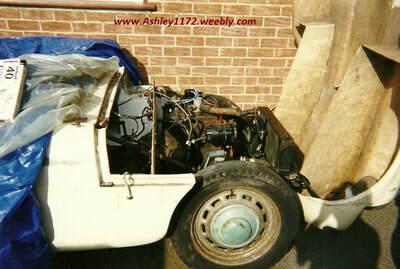 Ashley 269 AWW was brought so that it could effectively be rebuilt as an existing car. Because there was no logbook I did not get to keep that number but it allowed me to correctly register the car as a 1959 Ashley 1172 so that it would have a period registration YSJ 223 rather than a Q plate. The body and chassis were basically scrap but a number of parts were rescued and reused in the rebuilt car, most importantly the windscreen and surround as I found they were like hens teeth to find. 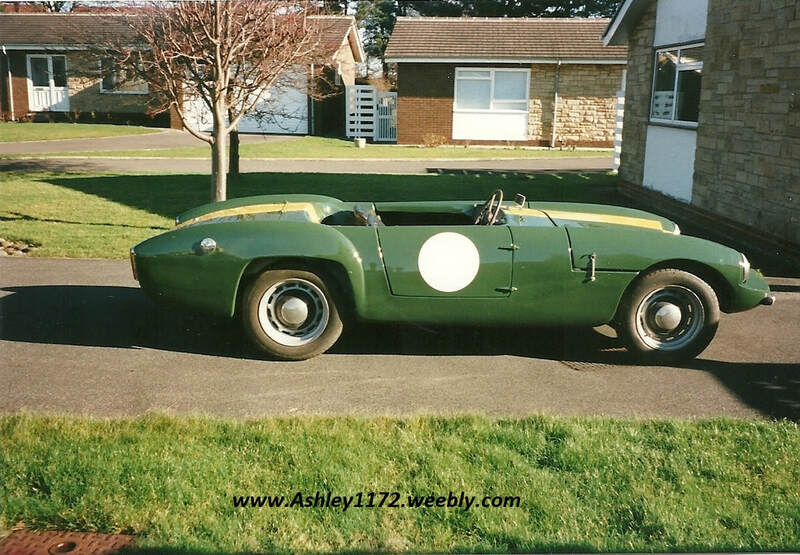 I bought a "new" shell in 1991 and it had never been mounted on a chassis, I bought it from an advert in my local paper, the seller had bought the shell new in 1959. 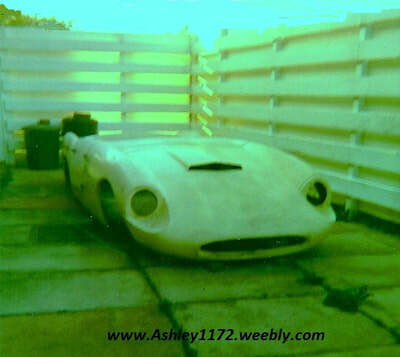 He told me it was from a shop in Linthorpe Road, Middlesbrough that sold special bodyshells and tuning parts,the only thing he did to the shell was cut out holes for the headlights, instruments and the air vent in the bonnet. He got married in 1960 and the shell was forgotten about for 30 years. It was half buried at the bottom of his garden when I bought it and although unused all the metalwork was totally rotten. When I bought the shell one of the first things I did was replace all the bonded in tubing with stainless steal to ensure it never had to be done again. Over the next few yours I completed it with my Dad, putting it on a 103E chassis with a tuned 100E motor, putting in wooden bulkheads as the original Ashley item was very flimsy and I also built a battery box into the front floor area for rigidity. The wheels were made up using Volvo 164 rims to retain the Pop centres but run 15" wheels. 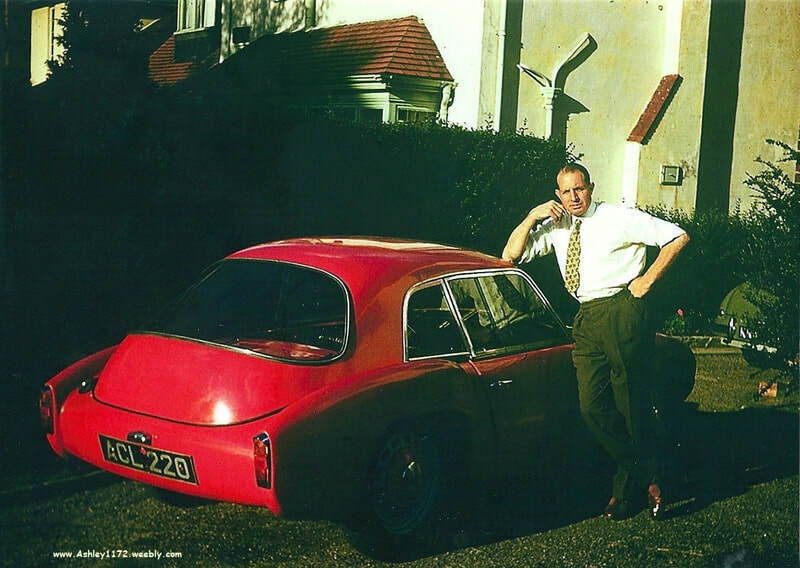 The cover was adapted from an MGA item, the seats were fully adjustable using Triumph GT6 runners, making it a car could be driven by anyone from about 5' to 6'6". ​My friend painted it in the style of a Lister in his lock up and the yellow stripe was stuck on afterwards. ​My intention was to build a period appropriate special which I think I achieved. 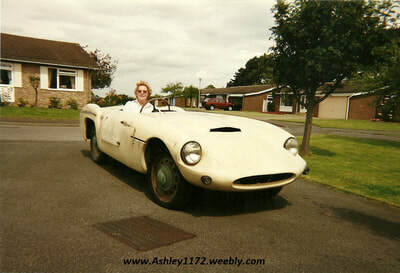 I only Sold it when I moved and had no garage to keep it in, it was great fun to build and drive for 10 years. 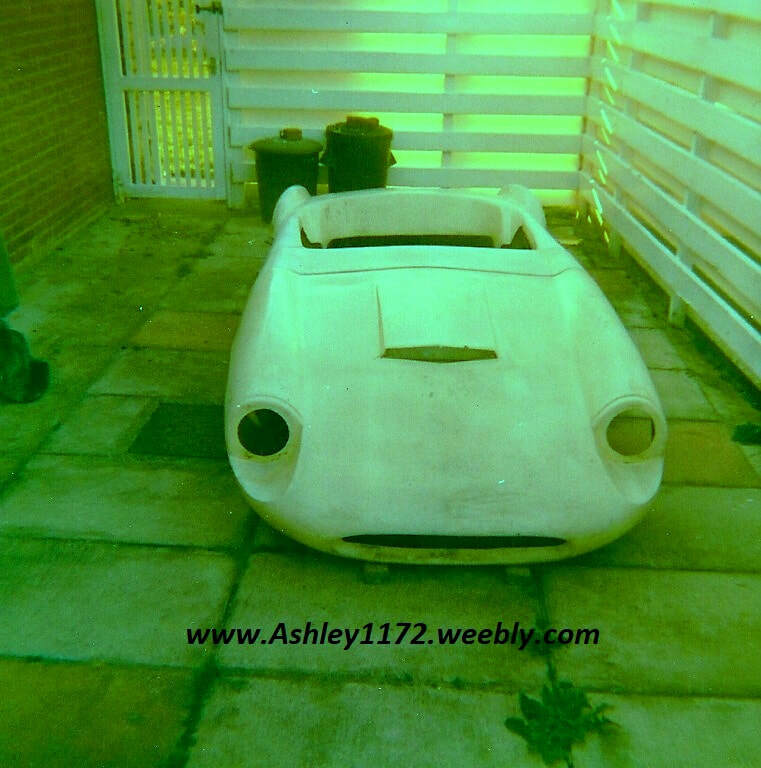 ​I sold it via an add in Classic Car Mart to a chap in Norway.